Center for Operational Oceanographic Products and Services National Current Observation Program conducted several major surveys of tidal currents in response to user requests. 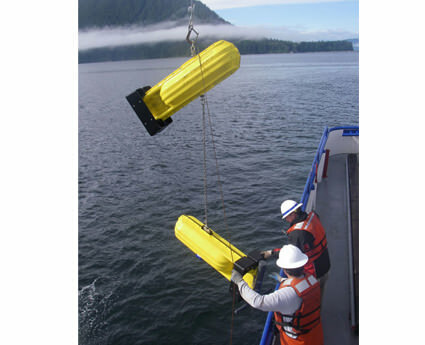 Data has been collected in southeast Alaska since 2001 to help update tidal current predictions critical to safe navigation and other applications that are published annually in the U.S. Tidal Current Tables. 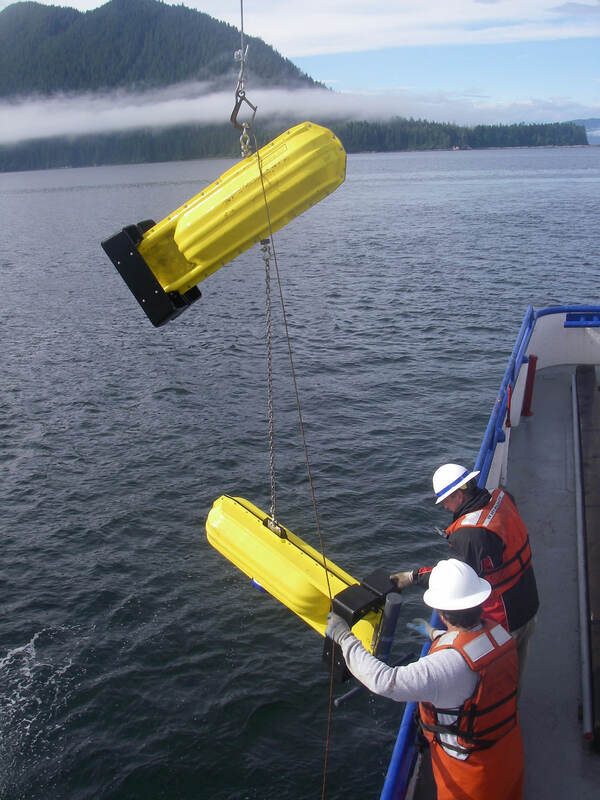 Here, scientists deploy current meter buoys and anchors used for the surveys.